Makin' it in Memphis: Go there: Gus's Fried Chicken. 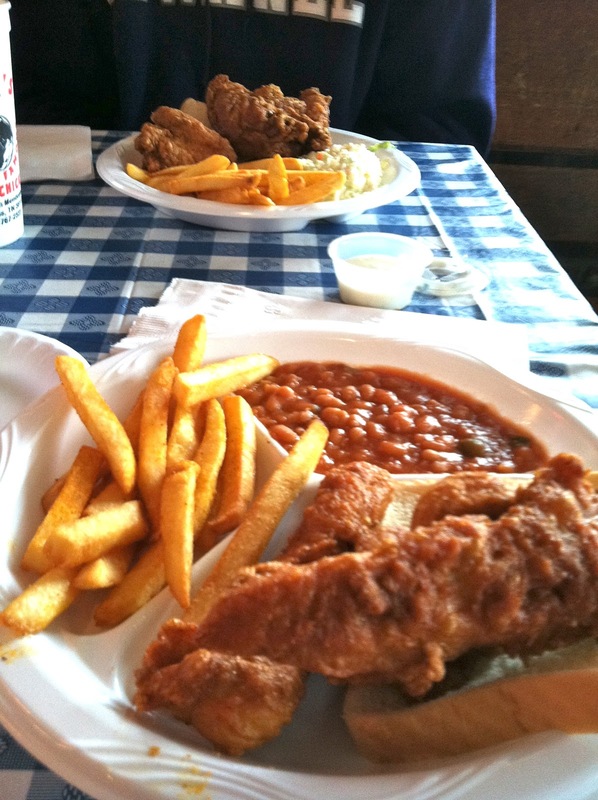 When you ask someone where you should eat in Memphis - the stereotypical "Memphis" establishments, most times you're going to get a bar-b-que reference of some sort (Central? Interstate? Neely's? BBQ Shop? Cozy Corner?) 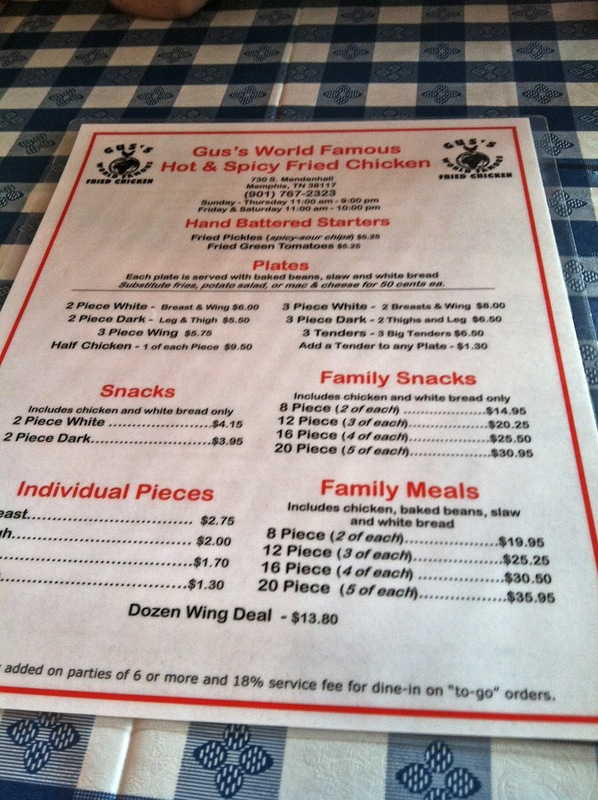 and a shout out to Gus's Fried Chicken. 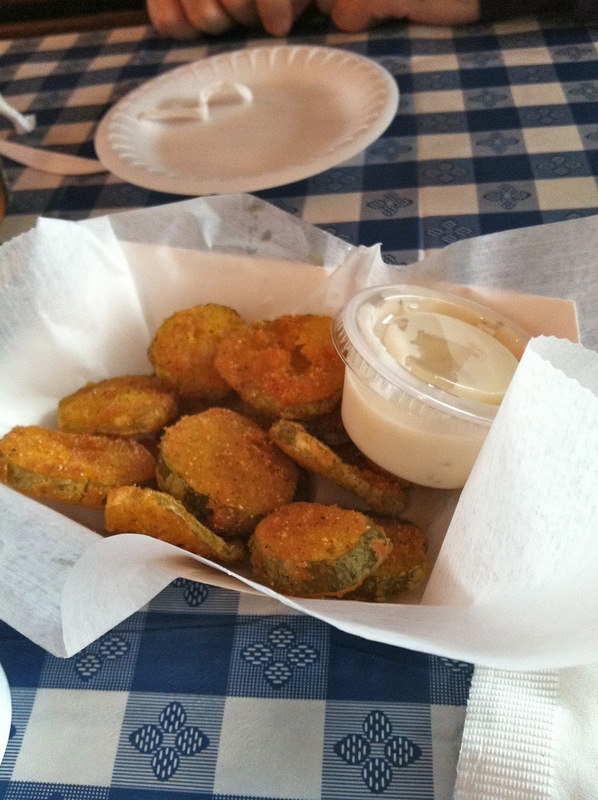 Definitely not an every day kind of meal, but a great place to visit with out-of-town friends or go on a fun destination night out. 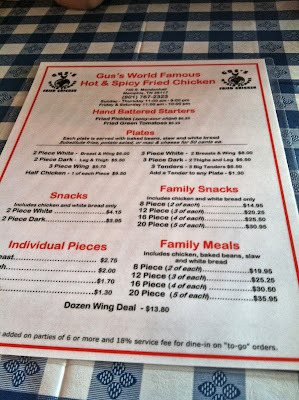 For fried chicken, Gus's is the place to go!